IndiaByte Software Service is customized for your needs. Bulk SMS can be sent from SMS software as well as from Bulk SMS Panel. We provide Free bulk sms desktop software to our paid customers which can be used to send Group SMS, marketing SMS, Dynamic SMS, Flash SMS etc anywhere to India. Apart from sending bulk SMS from our bulk sms web portal & softwre you can also use our bulk sms web application, desktop software, SMS API. 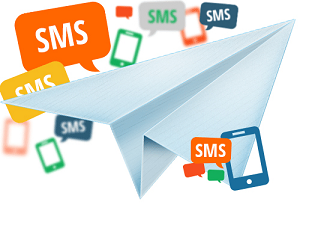 True & Online Software Service has its own SMS gateway to send bulk SMS in India with dedicated link to many mobile operators and SMS aggregators for round the clock connectivity and service. Since these services are used through Internet therefore SMS can be send from any internet connected device or mobile handset with GPRS/Egde/3G/WiFi connection.Bulk SMS can be used by Corporates, Share Brokers, Individuals, Marketing Teams, Websites etc. Messages are Send with the Senders Name (as Sender Id). Delivery to all cellular circles and Networks inIndia,GSM / CDMA. Different customize messages to various mobiles can be send in a single click. Integrates with MS Excel or notepad files to customizemessages. No need to a attached any phone/ SIM ordownload/ configure anysoftware. High Delivery Speed with SQL connectivity. Admin Control for Downline Users.